Businesses send and receive numerous emails every day, which results in an increase in the email traffic. To help manage this traffic efficiently, organizations go for options such as Zimbra email server hosting. These email servers help perform a number of tasks such as allowing managers to create different calendars, store data hassle-free and create email backups. There are, however, some security risks associated with using email servers. A slack in the business’s email server security, for instance, can result in data loss and virus attacks. To help avoid these concerns, the post lists some ways to beef up email server security. Take a look. IP blacklists consists of IP addresses known to send spam. Maintaining an IP blacklist on your server helps avoid IP addresses that have a reputation for spamming. To compile a list, blacklist operators create valid e-mail addresses and do not sign up to receive mails. They monitor these email addresses and blacklist IPs or domains that send excessive amount of emails to these addresses. IP blacklist operators also take regular feedback from users about the IPs that spam their mailboxes. One of the major advantages of opting for an IP blacklist is that you do not have to spend man-hours and efforts in creating and maintaining the list. Spam URI Real-time Blocklists or SURBL examines links embed in a message to identify unsolicited messages. To avoid security issues, your IT manager can block these messages. Using SURBL helps avoid phishing and malware attacks, two of the major concerns for businesses around the world. Many email servers, however, do not support SURBL. Sender Policy Framework is an email validation system designed to allow mail exchangers (software that transfer email from one system to another) check whether the sender is authorized by the domain administrators to send mails. Different domains publish and update SPF records regularly. It, therefore, becomes inviable for spammers to target SPF protected networks as the forged mails are detected by the filters. To manage email traffic better and avoid spamming and other threats, limit the number of connections on your server. Use different criteria such as nominal server load per day, connection rate, and server hardware configurations to decide the number of connections. Deciding the optimal number of connections can be a time taking task and you may have to evaluate these parameters over a period. 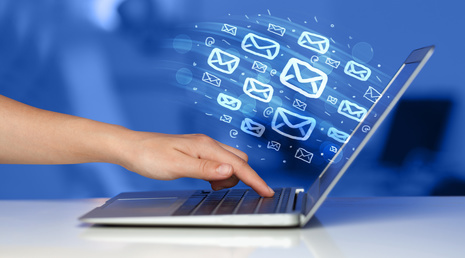 Email servers help simplify the task of managing email traffic. To avoid safety risks associated with using an email server make sure you follow these precautions. When hiring Zimbra email server hosting services, look for a reputable email hosting server provider who offers round-the-clock support and sends regular updates to help avoid traditional and evolving threats.